Sydney hosts not one, but two New Year's Eve fireworks displays—at 9pm and midnight. Instead of spending hours fighting the crowds to get a good view of both shows, book a luxurious dinner in a prime location and dine in style as the sky lights up around you. 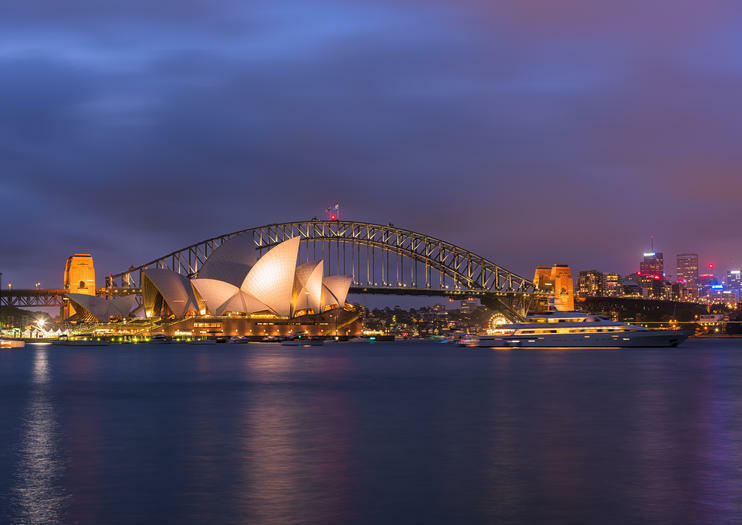 From the restaurant atop the Sydney Tower to a dinner cruise on the harbor, check out your options below. Celebrate the arrival of the New Year at Sydney Tower Buffet Restaurant, enjoying a special dinner and fantastic views of the legendary Sydney fireworks displays. Choose from more than 55 dishes of international cuisine served for the buffet dinner and unlimited wine, beer and soft drinks included. Get incredible views of Sydney’s famous fireworks show for a fantastic finale to your New Year’s Eve celebration. Treat the whole family to this memorable event! Spend New Year's Eve at Sydney Tower 360 Bar and Dining, where you're served a 6-course dinner of succulent dishes paired with wine amid opulent surroundings in the revolving dining room. Start with a mouthwatering selection of canapés while you take in spectacular views of the city's shimmering skyline. Your meal is timed so that you can watch two New Year’s Eve fireworks displays between courses. Dance into the new year as a live band performs throughout the night for an unforgettable evening in Sydney.